The best of the best! This playground is awesome. As you enter the park you feel like you’re on vacation. There is an ampi-theater with seating, a fountain, a beautiful spray ground, and a massive playground. 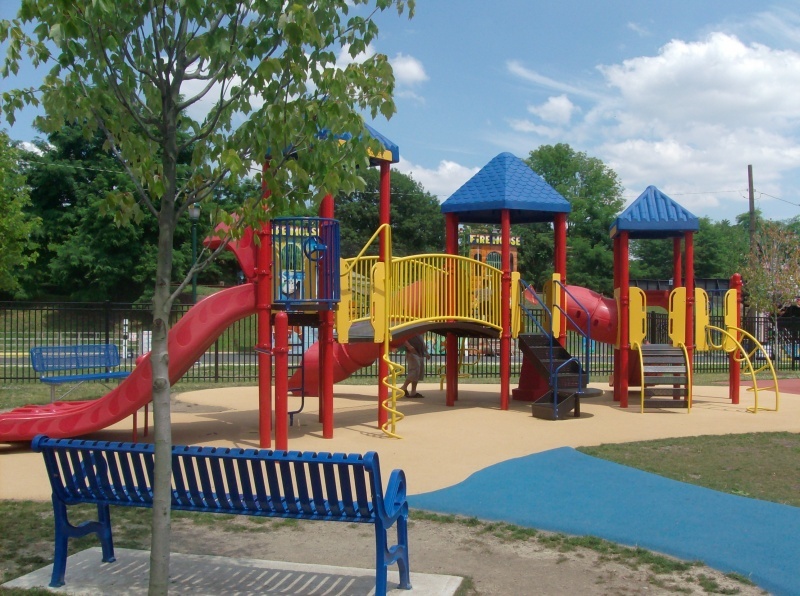 The playground has three structures in a completely enclosed area that has solid surface ground cover. The equipment is all new with tons and tons of climbing and playthings. There are plenty of swings for everyone. For more information on when the sprayground is open and how it’s managed visit the town’s website at www.lyndhurstnj.org. Make a Day of It: Just bring your bathing suits and towels and maybe a lawn chair too. You’re in for hours of entertainment!